It's been a long, cold winter. I was looking over my photographs and came across these two guys (thinking of summer). 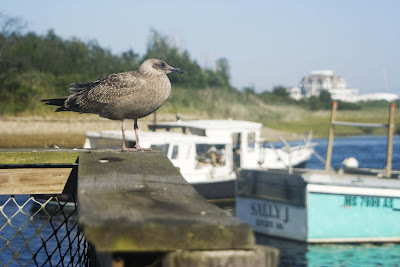 I just love seagulls. They have such attitude. Each one has its own personality, and they love to keep lookout over their world. 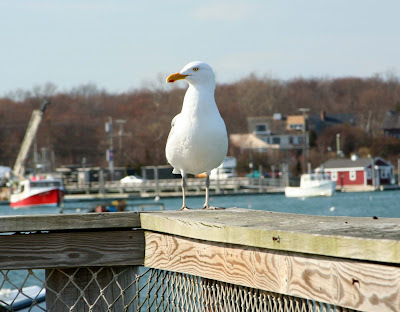 These photos were taken at one of my favorite restaurants -- The Millwharf in Scituate, Mass. They have an outside patio where I like to dine with friends, always with my camera by my side.